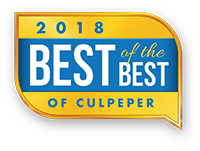 Stop by for a balance screening with Culpeper Medical Center | Rehabilitation physical therapists. Screenings are free and open to the public. Join Dr. Brevard Wallace and learn how to understand blood pressure, including facts about blood pressure, preventative measures you can consider and treatments. Focus on strengthening and protecting your back in this 6-week aquatic class at Powell Wellness Center with certified back fitness coach Sharon Steele.